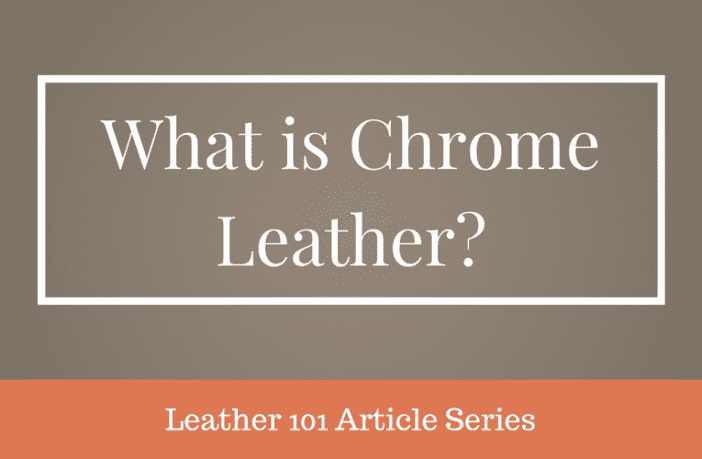 In this article we will learn about the source and special properties of chrome tanned leather, how it is made, what kind of products it is used in, and how to care for this type of leather. We will also look at the advantages and disadvantages of chrome tanned leather and discuss similar leathers. Chrome tanning is the most popular kind of tanning in the global leather industry. Tanning refers to the process of treating the animal hide to turn it into leather, which is more supple, resilient and suitable for use in various products. Without tanning, the hide would start to rot, like any other organic material. Most the time, the chromium tanning process starts right there when the animal is slaughtered. Unlike vegetable tanning, chrome tanners don’t get raw hides. After the animal is slaughtered, the hide is removed, usually by machine. It is then taken to a tannery that is part of the slaughterhouse, where the hair and flesh are removed. It is then put through an initial tanning process where the hides come out with a distinct bluish tinge. The chrome tanners receive them this way, but they are usually cut in half. The cut hides are referred to as hides, and when they are in this semi-tanned state they are called “wet blue” or “in the blue”. Hide dealers, the middle men of the industry, are crucial at this stage of the process. They are the people who help the chrome tanners get the hides that they are looking for. This is especially important when you consider the global scale of the hide market. Most of the hides from the U.S are exported for tanning elsewhere, so these dealers play an essential role in keeping the industry moving. When the tanners receive the hides, they go through a grading process. Not all hides are created equal, and if you have a giant truckload full of them, there are going to be some duds. From there, the hides are run through a band-knife splitter to cut the leather to the desired thickness. Some projects require thicker leather than others, so this will change depending on the client for whom the tanner is currently working. The top part of the leather, or the grain, is put in one pile and the bottom half in another. After the tanning process is finished, the bottom half which is referred to as “splits”, is frequently bought up by other tanneries to be made into suede. Chrome tanning was originally introduced as an alternative to vegetable tanning, which is a laborious and time-consuming process. The result of this process, however, is a more supple leather, and better water resistance than vegetable tanned leather. It is also more resistant to stains and heat compared to vegetable-tanned leather. On the other hand, many companies tend to compromise on the quality of chrome-tanned leather to cut costs, which results in shorter lifespans for the leather products. Another cost-cutting measure used by manufacturers is treating the edges of bags with acrylic varnish, resulting in cracks after a few years of use. However, if produced correctly, chrome-tanned leather is moderately durable. Chrome-tanned leather can be dyed in a range of colors, so it is an excellent option for customers looking for a wide variety of colors. The color of chrome-tanned leather remains uniform and does not develop a patina as quickly as vegetable-tanned leather. It does not have the leather smell that is characteristic of vegetable-tanned leather, and instead often has a chemical smell. Chrome leather is used in the manufacture of jackets, bags, gloves, upholstery and similar products that do not require stiffness and structural toughness. It is the preferred material for car seat upholstery as it does not stain easily and retains its look over time. Vegetable tanning can take up to two months, but chrome tanning can be completed within a day utilizing modern machinery. Because it is quick and requires only some industrial machinery and chemicals, it is cheaper and more widely available than vegetable-tanned leather. 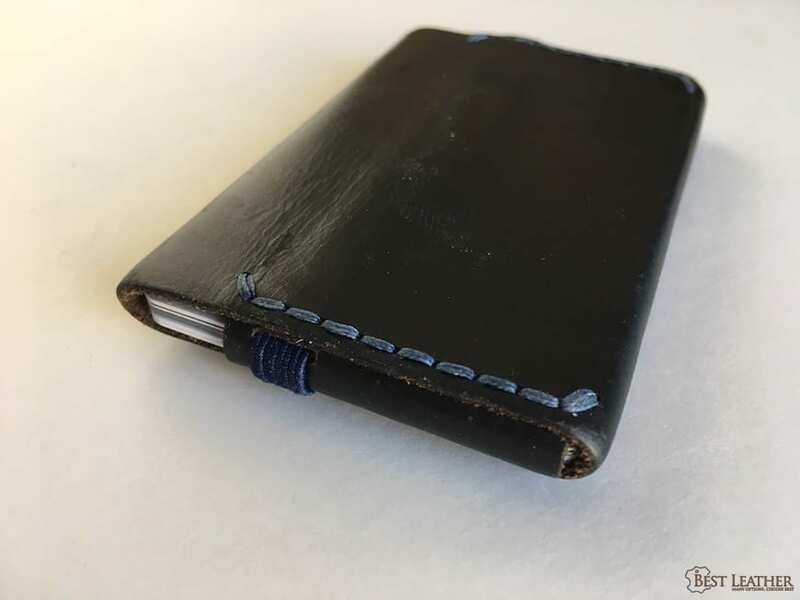 In some applications, it is desirable to keep the color of the material unchanged over time, and chrome-tanned leather meets this requirement. It is soft and flexible right from the time of purchase. On the other hand, vegetable tanned leather gets more supple with time. Chrome leather is also water, heat and stain resistant. The process by which chrome tanning is carried out has a negative environmental impact, especially in developing countries. The toxic wastewater can seep into the ground and affect soil and groundwater supplies. Another issue is that chrome-tanned products do not wear well, gradually losing their appearance with time and exposure to the elements. Due to the nature of this leather, it cannot be tooled after tanning. So it is not suitable for patterning and stamping. Oils will actually clog the pores of the leather, so you’ll only want to apply wax or a recommended spray that will waterproof it. Shoe wax works well for chrome leathers. You can re-apply these products on the product once every six months, or if the shine is gone. Avoid storing the leather items in sunlight or wet places. Like chrome leather, vegetable-tanned leather goes through the tanning process but using organic materials that require longer periods to treat the animal hides. The resultant leather is stiffer and has fewer color options compared to chrome leather, but has rich and earthy tones. It also has a distinctively sweet fragrance, as opposed to the chemical smell of chrome leather. Vegetable-tanned leather shows the natural fibers of the animal hide, but these are not visible in chrome leather. Unlike chrome leather, vegetable leather develops a patina, or surface discoloration, as it absorbs body oils, water, sunlight and other environmental conditions with age. While chrome-tanned leather will deteriorate with time and use, it is a good option for budget-conscious buyers looking for supple, flexible leather in a wide range of colors. However, if you’re willing to pay a bit more, vegetable- tanned leather is longer-lasting, develops a beautiful patina which ages gracefully and adds a touch of elegance to your leather product.